Martha will teach you string piecing on a large scale. If you are new to set-in squares and triangles, this class will be a great introduction to the technique. Use pre-cut jelly roll strips or cut strips from your stash. Add borders to your large block to make the quilt fit any size be, or make a large wall hanging (need a quick wedding gift that makes a dramatic impact?) 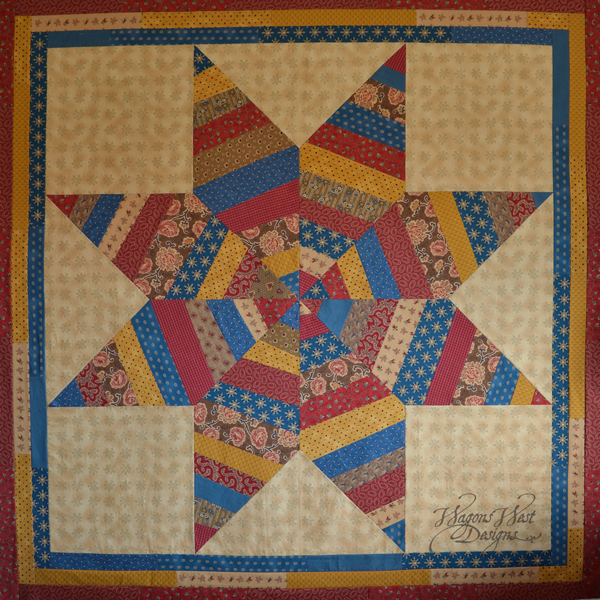 Experienced quilting students can expect to complete half of the star block by the end of class. Class supply list will be provided upon class registration.